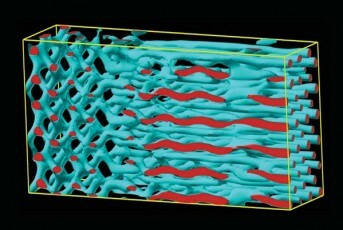 Surface patterning with chemicals and bio-chemicals on flat surfaces in the nanometer length has a fundamental importance. The applications of such nano-devices are directly related to the density and orientation of patterned chemicals and bio-chemicals on the surface. Surface patterning on particles in suspension can be a complex process due to the aggregation of the particles in suspension and their Brownian motion in the solvent. We are interested in the formation of monolayer patterned surfaces with chemical/biochemical functionalities on nanoparticles in suspension for highly specific and targeted applications such as bio-sensor, food technology, nanomedicine, magnetic bio-separation and industrial catalysis. UBTS Limited is currently undertaking a project with Fudan University relating to Multifunctional Nanocomposites for the Separation of Pollutants from Industrial and Municipal Sewage Water. The lack of clean water has always been an issue of environmental concern all over the world. The main sources of water pollution are: i) industrial (chemical, organic and thermal wastes); ii) municipal (largely sewage consisting of human wastes, other organic castes and detergents); and iii) agricultural (animal wastes, pesticides and fertilizers). In addition to the human activity, geographical location can have an additional problem. The separation of toxic contaminants from industrial water using a solid matric, e.g. sand, porous alumina-silicates (zeolites) and clays, has been well known for centuries due to their ion exchange properties. Removal of biological contaminants is now the key issue. This project aims to develop solutions to this problem utilising multifunctional nanocomposites using flow and static systems technologies. 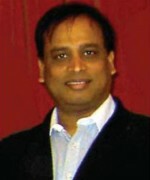 Tapas Sen is a senior lecturer in Inorganic and Materials Chemistry and the course leader of MSc Chemistry. He is leading the surface patterning group, Institute of Nanotechnology and Bioengineering. He has a foundation degree in project management (PRINCE II), which is a method endorsed by the UK government as the project management standard for public projects. He is also a Fellow of the Higher Education Academy (FHEA).